"Dashing...romantic...Errol Flynn at his thrilling best!" 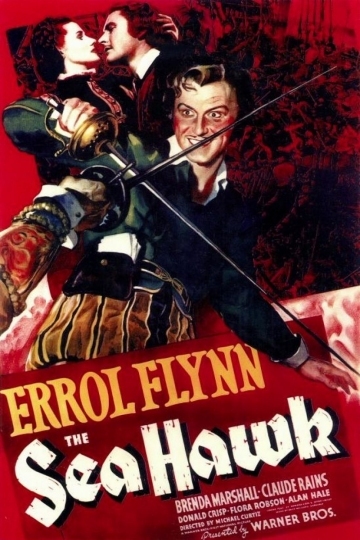 A British buccaneer, played by Errol Flynn, holds the Spanish fleet at bay with the covert approval of Elizabeth I. The Sea Hawk is currently available to watch and stream, buy on demand at Amazon, Vudu, Google Play, FandangoNow, iTunes, YouTube VOD online.